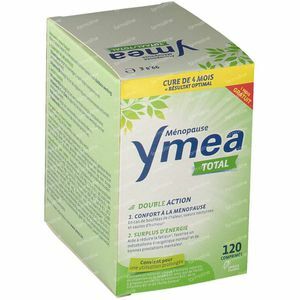 Ymea Total New Formula Duo 2x60 tablets order online. 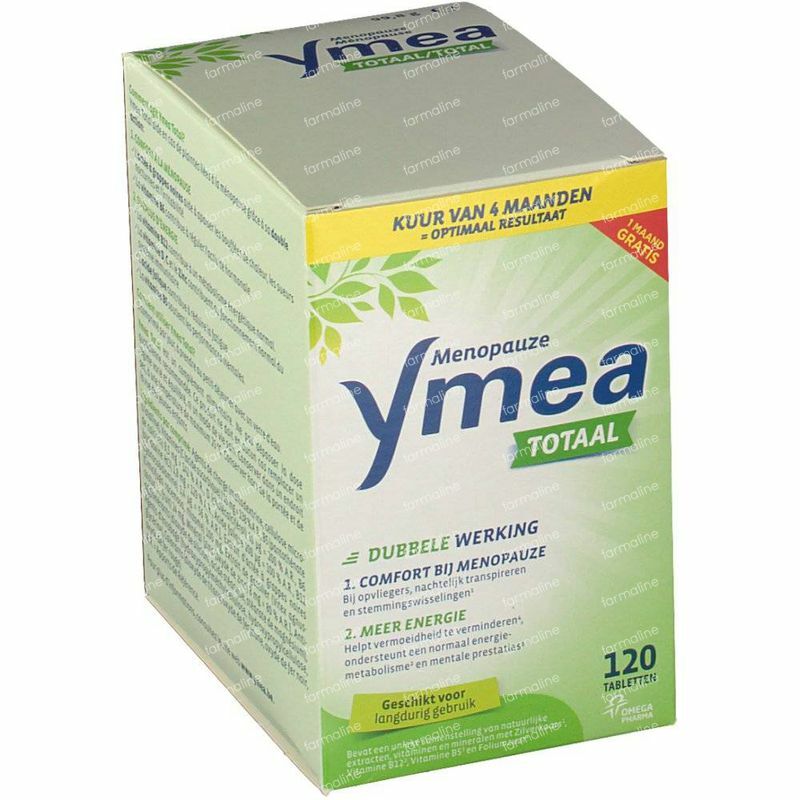 Ymea Total helps thanks to Cimicifuga racemosa(zilverkaars) and Vitex agnus-castus (monnikenpeper) with transition symptoms like stress,sweating at night and changes in the mood. The vitamins B5, B6, B12 and C contribute to a normal energy supply metabolism. Moreover is vitamin B5 important for a normal mental performance. Vitamin C & Zinc contribute to preservation of a radiant skin and are just as vitamin B6, B9, B12 and D important for a normal working of the immune system. For the preservation of healthy bones vitamin D, C and zinc are important. 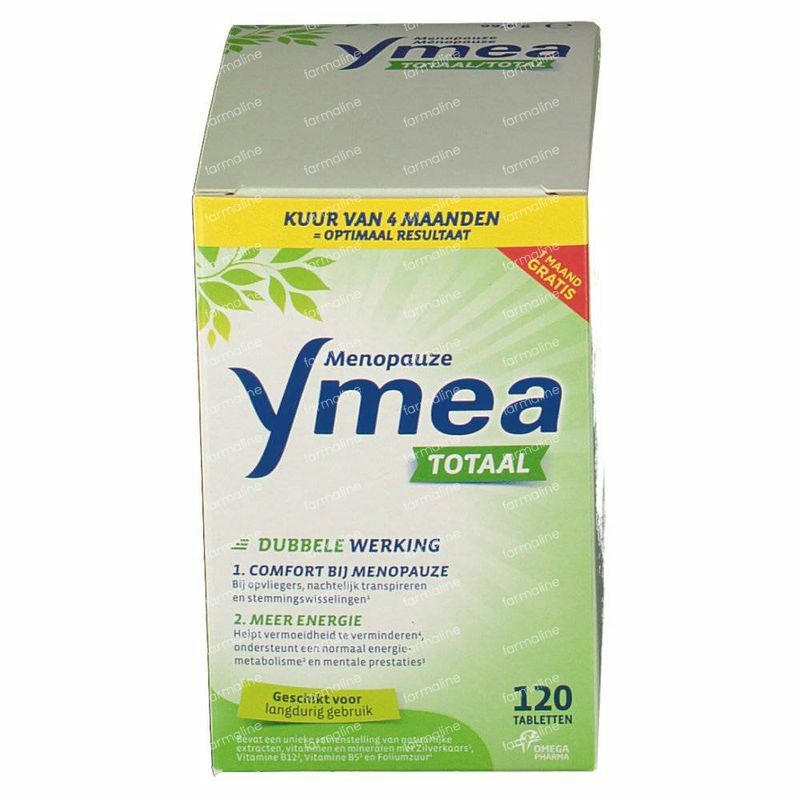 Ymea Total consists no hormones and fyto-oestrogen. Take 1 capsule a day with a glass of water. 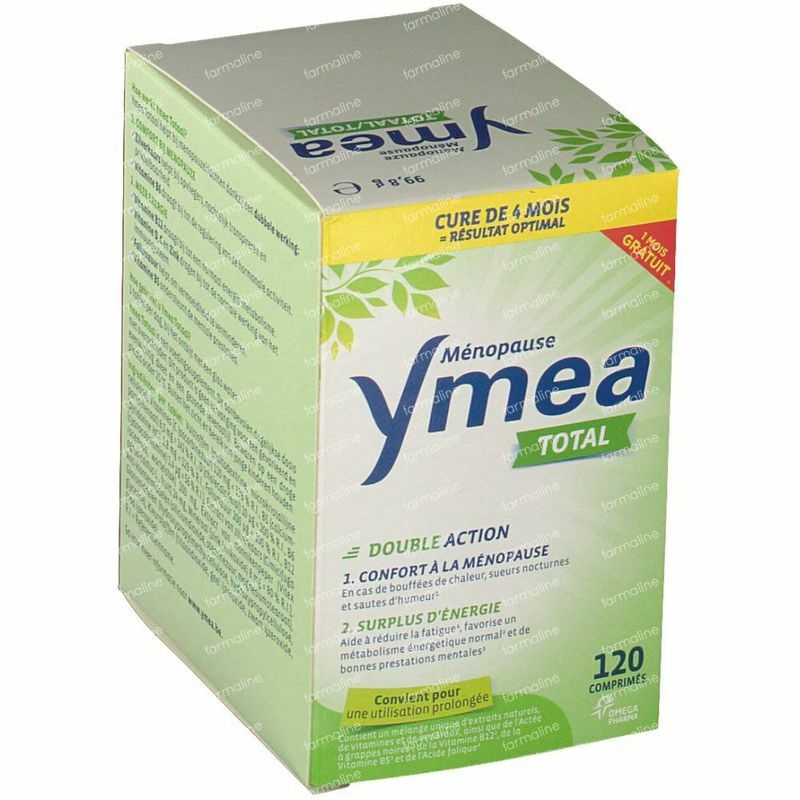 The support offered by Ymea in transitional phenomena occurs gradually and is optimal after a few weeks. The change process in the body is continuous throughout the transition. 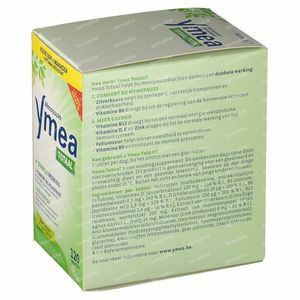 Therefore, it is recommended that Ymea be used daily if you want to help reduce the transient symptoms. Precautions: Do not exceed the recommended daily amount. Nutritional supplements can not replace varied and balanced nutrition, nor a healthy lifestyle. Keep out of the reach of young children. Store at room temperature (15-25 ° C) in its original packaging. 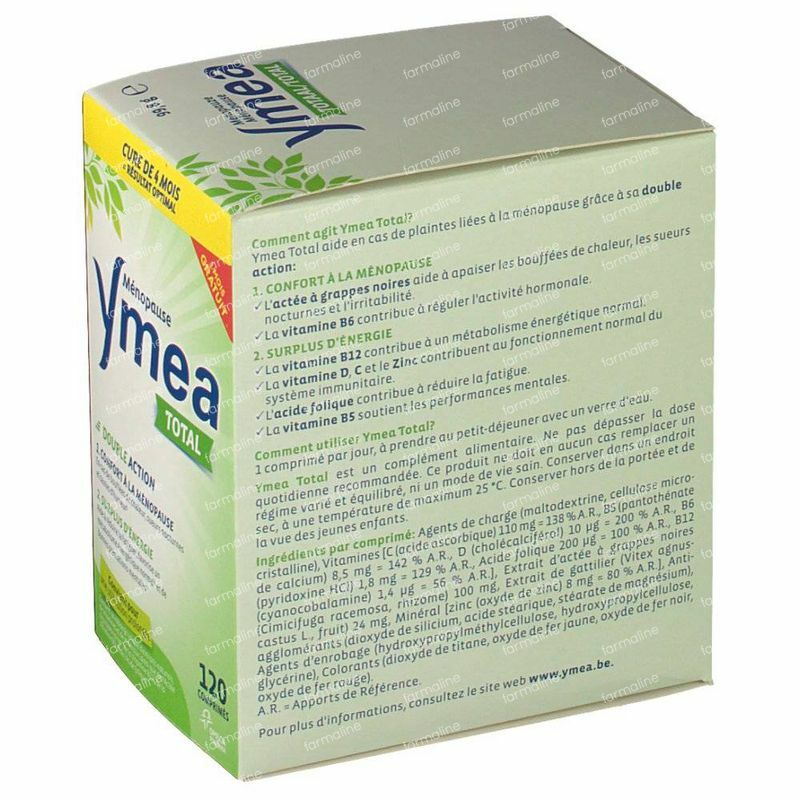 Cimicifuga Racemosa extract, Vitex Agnus castus extract, Vitamin B5, Vitamin B6, Folic acid, Vitamin B12, Vitamin C, Vitamin D, Zinc. Don't cross the recommended daily dose. Preserve in room temperature (15-25 °C) in their original packaging. 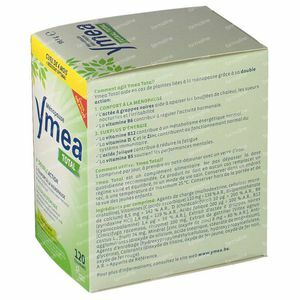 Food supplements can not replace a varied and balanced diet, neither a healthy life style.